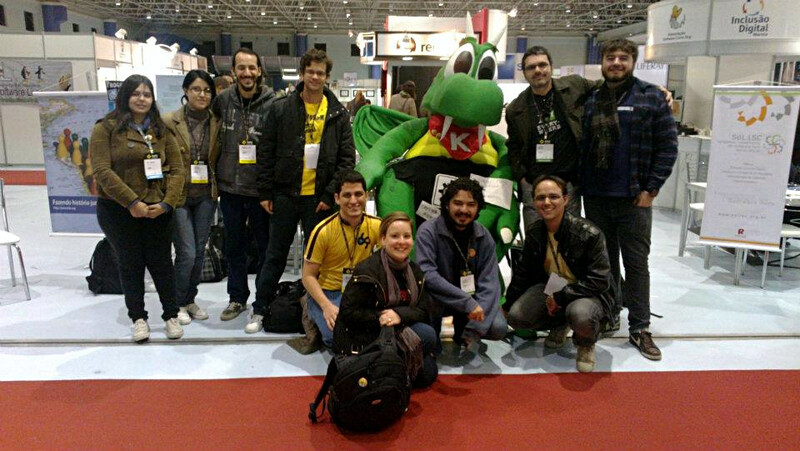 FISL13 is over and it’s always hard to say goodbye to dear friends who make up the KDE Brazil. 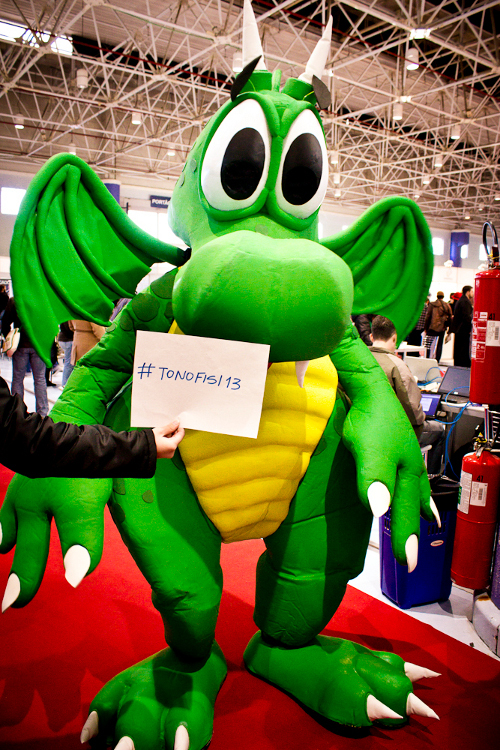 But certainly the one we’ll miss most about is our beloved Konqi who invaded FISL this year. He’s right now long hibernating at Henrique & Camila’s place (thank you guys, you’re amazing) and recharging his energies for Latinoware 2012, to take place in late October. 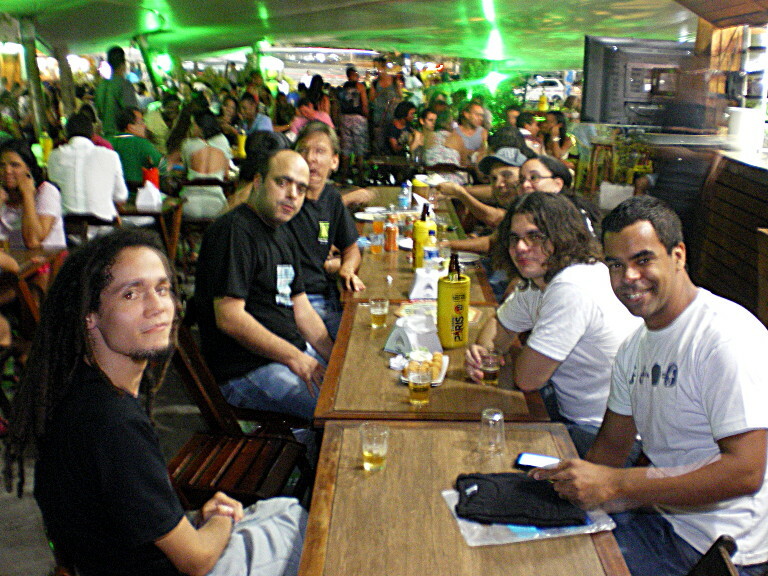 We had this year Sebas joining us for nice KDE conversations, some beers, and spreading the use of Plasma Active. We’ve got some new people interesting in artwork (we have some amazing screencasts on Krita in action, where are they Tomaz ?) and we managed to have some t-shirts and konqi pins at KDE booth. That’s an awesome costume! Next time there’s a conference, please ping me — I can send a dozen Comics with Krita dvd’s for use in booths, stands, as prizes or give-aways. That’d be great ! We’re going to have Latinoware in late October. 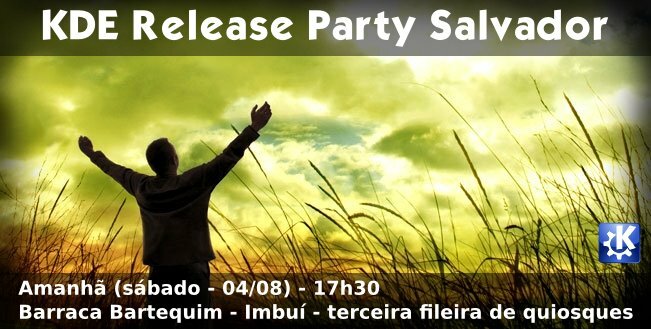 Do you think it’d be difficult to send those stuff to Brazil ? Whoa, wicked costume! Glad to see Konqi has not been forgotten!